The Economic and Financial Crimes Commission has traced properties worth N1.5bn to a former Special Adviser to ex-President Goodluck Jonathan on Domestic Affairs, Waripamowei Dudafa. 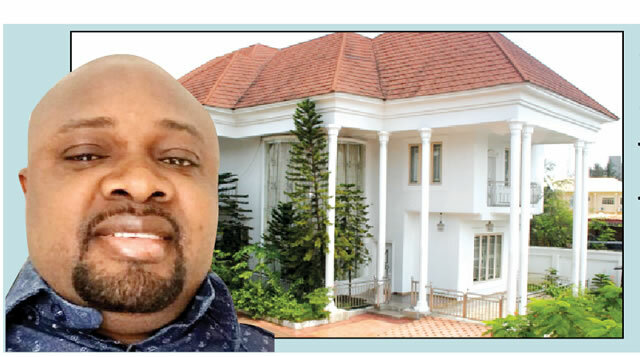 Our correspondent learnt on Sunday that as part of investigations into an alleged case of money laundering, the EFCC discovered some properties, which Dudafa had not been able to explain where he got the money to buy them. The commission discovered a mansion in the Agungi area of the Lekki-Epe Expressway, allegedly belonging to Dudafa, said to be worth over N300m. The anti-graft agency also traced a plot of land around the Chevron Estate, off the Lekki-Epe Expressway and a twin duplex within the same area said to belong to Dudafa. Apart from the Lagos properties, an edifice in Yenagoa, the Bayelsa State capital, was also traced to Dudafa. A source in the EFCC said, “When we are probing a person, we usually investigate his lifestyle and see if he or she is living above his means. Since Dudafa has already been arraigned for money laundering, we decided to launch further investigations into his lifestyle. “We found a white mansion in the Agungi area of Lagos, very close to Lekki. He has about four exotic cars in the compound. We did not seal it off because people live there. So, we just placed a sticker on the fence to indicate that the property is a subject of investigation. “Dudafa also has a twin duplex around the Chevron Estate. We did not seal it off because he has rented the property out. However, he has a parcel of land around the place, which we have sealed off. Dudafa first became a subject of EFCC investigation when a former Aide-de-Camp to Jonathan, Col. Ojogbane Adegbe (retd. ), told detectives that he handed over N10bn (converted to foreign currency) to Dudafa on the eve of the 2014 Peoples Democratic Party presidential primary in which Jonathan was the sole aspirant. The money given to Dudafa was allegedly used in bribing PDP delegates. The money was allegedly diverted by the Office of the National Security Adviser under Col. Sambo Dasuki (retd.) from a Signature Bonus Account in the Central Bank of Nigeria. The N10bn is believed to have been diverted from oil receipts as follows: $5m (November 14, 2014); $47m (November 27, 2014); €4m (December 3, 2014) and €1.6m (December 24, 2014). While Adegbe was arrested but later released, Dudafa was said to have fled to either Dubai or a Caribbean country where he stayed for several months. Dudafa was finally arrested by operatives of the Department of State Services upon arrival at the Murtala Muhammed International Airport, Lagos, on April 18, 2016. The anti-graft agency said the former presidential aide returned N900m to the Federal Government. Dudafa is also believed to be a front for Dame Patience Jonathan, the wife of the former President. Patience had said in a sworn affidavit two weeks ago that she gave Dudafa some money to help her open an account at Skye Bank. She, however, stated that Dudafa used the money to open five accounts of which only one bore her name while the other four were opened in the names of Pluto Property and Investment Company Limited; Seagate Property Development & Investment Co. Limited; Trans Ocean Property and Investment Company Limited and Avalon Global Property Development Company Limited. The current balance of the four accounts is $15,591,700 while the money in Patience’s personal account stands at $5m. The four companies last week pleaded guilty to money laundering. Patience risks losing the $15m to the government. One Sammie Somiari, who deposed to an affidavit on behalf of Patience, claimed that the former President’s wife was the rightful owner of the $15m and that Dudafa helped her to open the bank accounts in 2010.